One of the things I tend to geek out about most is podcasts. I’ve been an avid listening of podcasts for over a decade, and have built up a catalogue of favourites. As I’ve had a few requests recently for recommendations, I wanted to put together an updated list of podcasts to listen to. If you’re curious about how some of the big players in the digital world got to where they are, How I Got Here is a must listen. 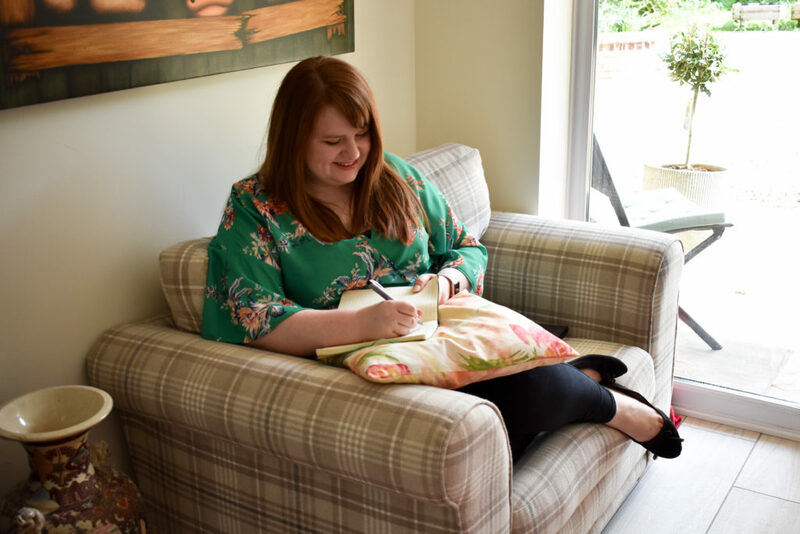 All The Stuff is a podcast run by Jen Turell (finances) Lisa Sharp (decluttering) and Lisa Carpenter (nutrition) is all about all the ‘stuff’ we deal with, and how to stay on top of it. I haven’t always been a Tony Robbins fan (generally, I’m not a huge fan of shouty types). But his recently Netflix documentary changed that view, and his podcasts are just as informative and entertaining. For some lighthearted listening, check out the audio offering from hilarious (it’s their job after all) duo Suzi Ruffell and Tom Allen. Essentially they just chat about a different topic each month on Like Minded Friends, but it’s always entertaining. Dawn O’Porter launched her style podcast last year, and it’s now one of my favourites. Don’t worry, you don’t need to be stylish to listen in (god knows I’m not). Get It On is all about interviewing celebs on what inspires them, what their fashion fails and wins are and debating everything from vintage clothing to what photo they’d like to be remembered for. I am a guilty feminist. I am 100% supportive of feminism but there are things I like to do (swoon over the cast of Magic Mike, for instance) that makes me feel a bit guilty. I love Guilty Feminist, for making me feel a bit more normal. Plus, it’s pretty damn funny. The High Tea Cast girls are back, with the revamped podcast (and name) Unsorry. Much like Like Minded Friends, it’s a weekly 30ish minute shows focused on a different topic each week. Sam Sparrow and Lea Rice are witty, insightful and a bit like listening to your favourite friends. VOOM is the podcast from Virgin, interviewing businesspeople and sharing their top tips. The Right Brain Geek is by Pascale, and is packed full of tech advice and business tips in bite size audio snippets. 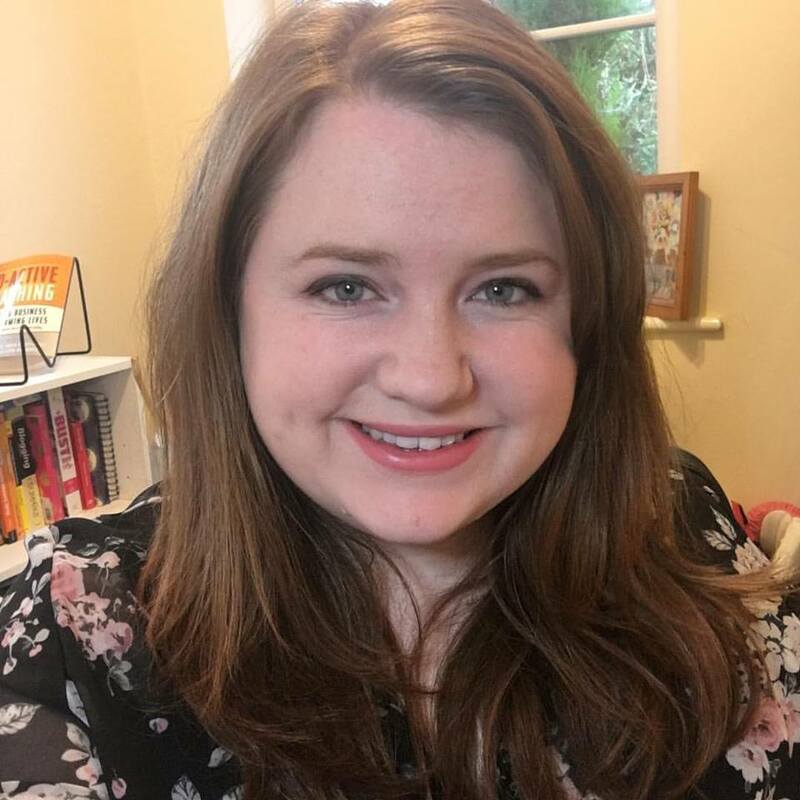 Emma Gannon is a bit of a Twitter celebrity now (and has recently launched her own book), but her podcast Ctrl Alt Delete is a really interesting insight into the lives of other digital starts – from Zoella to Meik Wiking (who wrote The Little Book Of Hygge). Regular readers will know I’m a big fan of Gretchen Rubin’s books The Happiness Project and Better Than Before. Her podcast Happier, with her sister Elizbeth Craft, is a weekly chat about how to be happier, with both sisters setting goals for the next episode. Being Freelance is the brainchild of Steve Folland, where he interviews different freelancers (*ahem* disclosure: including me) about their experiences. It also includes the game ‘two truths and a lie’ at the end. I like podcasts with added games. Ruby McGuire is someone I have followed for a while, and I’m currently on her Visibility Bootcamp. The reason I’m mentioning this, is because her brilliant podcast of biz tips was one of the reasons I wanted to work with her. So if you’re thinking of starting your own, it could also generate you business. If you haven’t heard of Tim Ferris, there’s a good chance you have heard of his book’s Four Hour Work Week, Four Hour Body and Four Hour Chef (he’s also recently launched Tools Of Titans). His podcast is all about being the best you can be. I don’t listen to all of his episodes (some of them are over two hours long!) but his interview with Tony Robbins is definitely worth a listen. Oh, and I couldn’t finish without mentioning my own…. 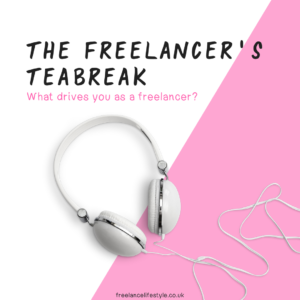 My podcast is full of tea-break-length episodes for freelancers, on topics varying from work/life balance to goal setting. Which podcasts do you rate? Some great links here, thank you! Thanks for this list. I LOVE podcasts! I love the Fizzle Show – they are quite ‘zany’ but I love their discussions on all things entrepreneurial. They sometimes offer model documents following the episode. They offered a great annual planning tool following an episode on planning for 2017, which I followed for my business plan. I really value the Social Media Marketing podcast. The host, Michael Stelzner, is a great interviewer as he always asks his guests to explain any jargon and to break down concepts that the audience might not understand. This is despite the fact he knows more about social media than most – shows he is really thinking about the audience. If you want to learn more about a social media topic, there will be a podcast that can help! 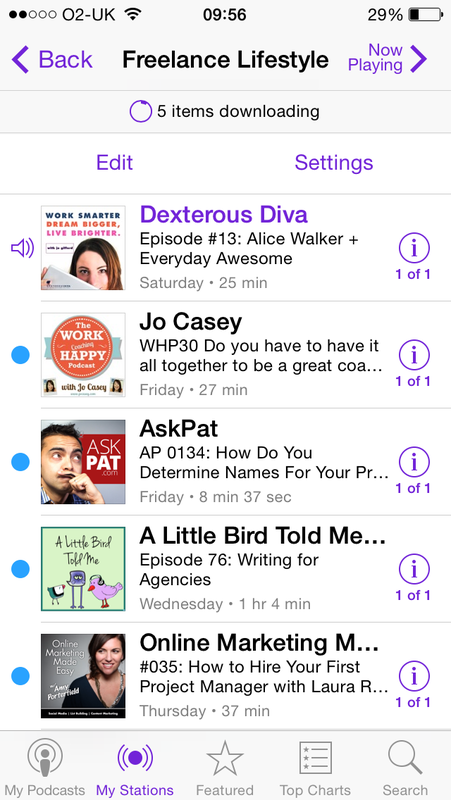 I also love Janet Murray’s Soulful PR podcasts. She too is a really good interviewer (she is a journalist) and gets the best out of her guests. Her main focus is PR, but she interviews loads of great people about all aspects of promoting your business. Finally (I have loads more, but I think 4 is more enough for now! ), I also like Entrepreneur on Fire, by John Lee Dumas. It is a daily podcast where he interviews business owners. At c20mins, it is shorter than the above, but I like a quick and intense listen every now and then! Thanks for this – I love listening to podcasts in the car or when out for a walk! 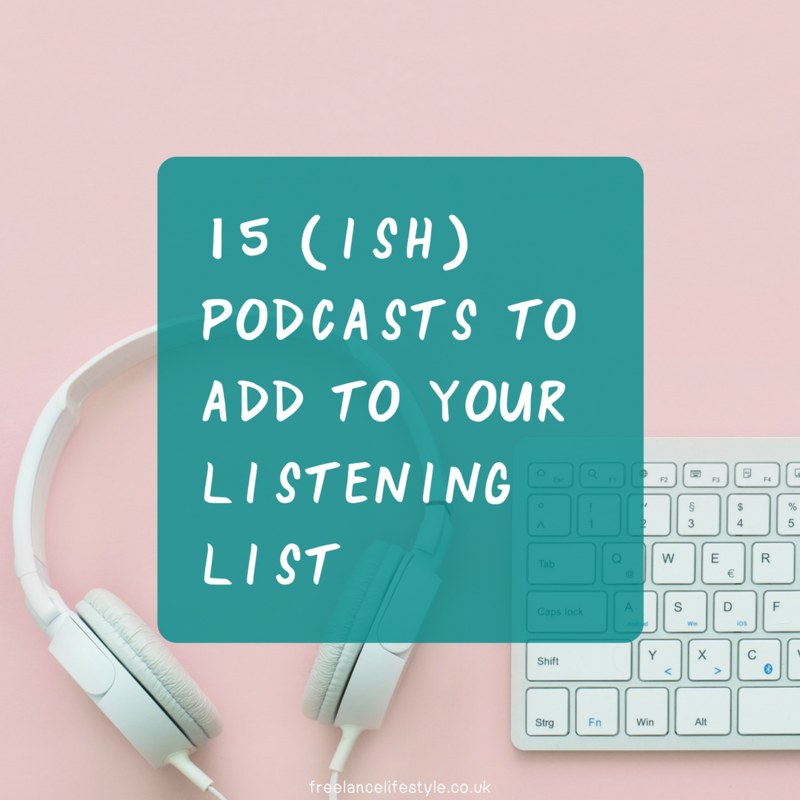 I also love the Happier Podcast from Gretchen Rubin – I have implemented a number the short tips and it is making my life happier. Thank you so much Emma for the mention. I love your podcast too!